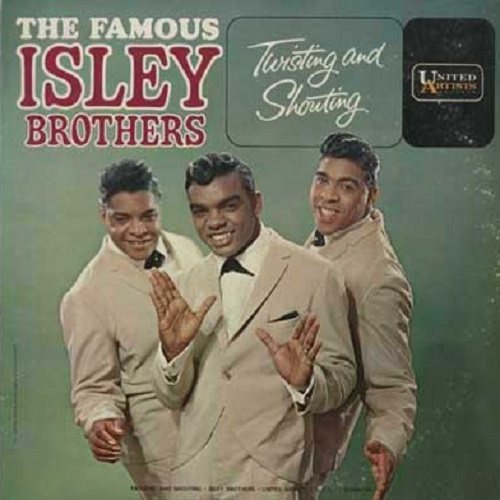 Prior to the Beatles, rock and R&B albums generally suffered from having an excess of filler – but then, this was to be expected, since labels treated albums at the time as simply a way to package the latest singles with a large handful of hastily-recorded padding, usually in the form of covers – and the Isley Brothers’ debut disc is no exception. There are two quintessential Isley tunes here – the two-part title track, which ironically did not actually reach the Top 40 but has gone on to be the one Isley Brothers tune you can always depend on hearing at your typical oldies dance party or wedding reception, and the lesser-known but equally satisfying stomper “Respectable,” which would go on to be covered by countless rock bands in the ‘60s (The Outsiders of “Time Won’t Let Me” fame would have the biggest hit with it, taking it all the way into the Top Twenty). But, aside from those two group-penned tunes, the remainder of this disc consists of covers and standards ranging from “That Lucky Old Sun” and “He’s Got the Whole World In His Hands” (no, really) to “When the Saints Go Marching in” and “St. Louis Blues.” Because it’s the Isleys, these renditions are generally more entertaining than your average versions of these tunes (though not nearly as exciting and high-octane as the two fiery originals), but, still, compared to their self-penned classics, this is padding at its most obvious and uninspired, and there’s little reason for anyone other than diehard Isley collectors to own this disc if you already own “Shout” and “Respectable” on a hits package. Nearly equal-parts comprised of Isley originals and covers of R&B tunes like James Brown’s “Please, Please, Please,” Lloyd Price’s “Stagger Lee,” Little Richard’s “Long Tall Sally,” and Hank Ballard’s “Let’s Go, Let’s Go, Let’s Go,” this disc is, like Twist & Shout before it, much hipper and more appealing as a whole than the standards-heavy debut. What it doesn’t have is any sort of hit single to help anchor the record, and, for that reason, it’s a pretty forgettable affair, even if it’s all perfectly listenable, and it’s consequently easily the least essential of the band’s ‘50s and ‘60s full-lengths. Like most Motown-umbrella albums from this time period, this disc does utilize covers of other familiar Motown tunes to pad out its running time (in this case, Martha and the Vandellas’ “Nowhere to Run,” Marvin Gaye’s “Baby Don’t You Do It,” and the Supremes “I Hear a Symphony” and “Stop! In the Name of Love”), but that’s pretty much this disc’s only real flaw. The Holland-Dozier-Holland team, who have written and produced most of the tunes here, have done their clients well here, not only giving them a great set of material to work with but also injecting a greater dose of R&B into their sound, moving them from the more pop-oriented sounds of “Twist and Shout” into the deeper soul territory of such sides as the standout cuts “I Guess I’ll Always Love You” and “Take Some Time Out for Love” and, better yet, the timeless groove of the title track, a song so good that Ronald Isley would have a hit with it twice – first with this incarnation, and later in 1990 as Rod Stewart’s duet partner on the British rocker’s Top Ten-charting cover of the song. While the dominance of Holland-Dozier-Holland here means that the brothers don’t have nearly as much creative influence over the disc as they would on their later, more famous outings, this is nonetheless still a very respectable album indeed and, in fact, the trio’s first truly great album, demonstrating a remarkable musical growth from the first three albums. The last record the Isleys would record for the Motown family, this disc is something of a mixed blessing. The good news is that the brothers are no longer turning to the Motown backlog of Top Ten hits for cover material to help fill the disc, so you won’t find any familiar Supremes or Martha and the Vandellas tunes here. Unfortunately, the disc doesn’t include any hit singles at all – not quite so much for a lack of quality (although nothing here is nearly as immediate as “This Old Heart of Mine (Is Weak for You)”) as a lack of promotion – which makes the album really easy to overlook. While Holland-Dozier-Holland are absent this time around as producers and songwriters both, the Isleys do get assistance in that department from such heavyweights as Smokey Robinson (who offers up “It’s Out of the Question” and “Little Miss Sweetness”), Norman Whitfield (on “Save Me from This Misery” and “That’s the Way Love Is,” later to be a huge hit for Marvin Gaye), and Johnny Bristol (on “Tell Me It’s Just a Rumor, Baby.”) The disc also contains an overlooked gem in “Behind a Painted Smile,” which was bypassed as a single on U.S. shores but was a huge international hit, even cracking the Top Five in the U.K. It’s not anywhere nearly as magical or essential an album as its predecessor, but despite the absence of any familiar hits, there’s still enough good material to make this as satisfying and respectable a purchase as Twist & Shout and an undeniably stronger album from start to finish than either Shout! or Twisting and Shouting. More impressive for its grooves than its actual songwriting, Get Into Something boasts some fun party jams in its first half, particularly “Keep on Doin’,” “Freedom,” and the seven-and-a-half minute title cut, the last of which is a must-hear for its wildly influential drum break alone. [The disc mellows out a bit for its more love-song-laced back half.] But you can’t help but feel that the group is spinning its wheels a little bit here – the songs are neither as infectious (indeed, there were no crossover hits this time out) nor as fresh as those from the past two discs, and even one of the better tunes here, “Keep on Doin’,” doesn’t say anything new that “It’s Your Thing” didn’t communicate much more memorably. 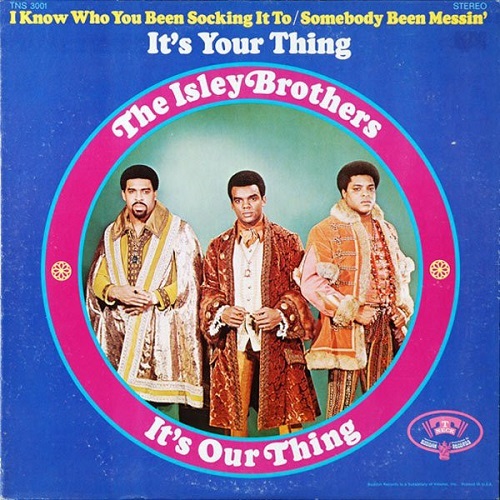 But the playing throughout is phenomenal, and it’s somewhat surprising the disc hasn’t been sampled as heavily as some of the other Isley discs from this decade. While the mediocrity of the songwriting means that the disc means that this is easily the weakest of the early T-Neck albums, even a passable Isleys album from this era is still more appealing than much of their post-‘70s work and, the platter’s weaknesses aside, the album still sounds great. Even better than Givin’ It Back, this is arguably the group’s best disc up to this point, combining everything that was great about the last record with everything that was great about It’s Your Thing. The brothers are wise enough to not shy away from the artistic success they realized in the unlikely covers that comprised the last disc, so they devoted over half of the running time to four remakes from the world of pop: Jackie DeShannon’s “Put a Little Love in Your Heart,” and, much more surprisingly, three Carole King covers – “Sweet Seasons,” “Brother, Brother,” and “It’s Too Late,” all of which fit the trio astoundingly well, particularly the smoldering, slow-burning soul of “It’s Too Late,” which, in the Isleys’ hands, is stretched out to over ten minutes but doesn’t feel the least bit overindulgent. (It may not be the definitive version of the song, but it’s arguably the coolest.) 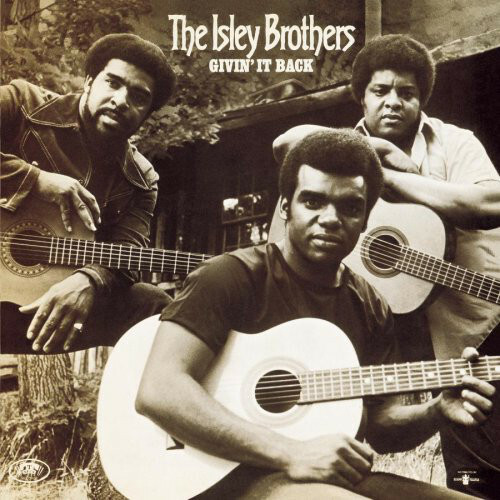 The remainder of the record is devoted to the brothers’ best set of self-penned material since It’s Your Thing, highlighted by the funk-rock of the #24-peaking crossover hit “Pop That Thang,” the extremely clever “Lay Away,” and the deeply groovy “Work to Do,” which would become one of the brothers’ most oft-covered songs and become a hit for everyone from the Average White Band to Vanessa Williams. It’d prove to be the brothers’ final disc with Buddah (T-Neck would continue to live on, but it’d be distributed by Columbia going forward), but their stint with the label sure ended on a high note. This is very much an essential purchase for the avid Isleys fan.